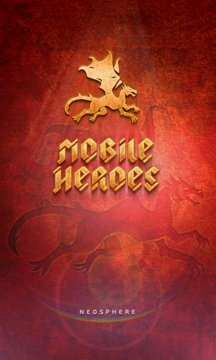 "Mobile Heroes" - a mysterious, magical world with real heroes and mythical creatures. Exciting adventures, dangerous events, intense bloody battles and the joy of victory are waiting for you! In this incredible new game you can become a collector of original, scary and sometimes cheerful and amusing creatures! Face the challenge, become a hero! Travel the real map in search of rare monsters, insidious dragon, wild animals, valiant heroes and towering castles. Recruit a powerful army of the best warriors and become unbeatable. Build castles near your home or school and upgrade them to increase revenues. Enter fierce battles with enemy heroes and monsters on the way to college or work and siege foreign castles. Stand face to face with other heroes in the tournaments, improve your rating and gain new titles. Upgrade your hero’s talents with each level and use them in further exciting battles to collect new achievements. Defeat hordes of enemies using magic potions and scrolls. Invite your friends to Mobile Heroes and play, socialize and share your victories with them! If you have a heart of courage and thirst for adventure, the victory waiting for you! 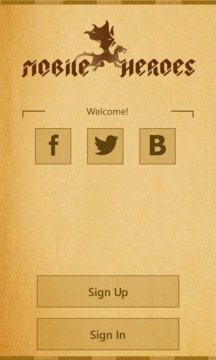 Real time multiplayer strategy game with geolocation.